Painted Camel Bazaar is a gift shop located in Pantopia, near Falcon’s Fury. The gift shop offers a variety of Falcon’s Fury and Busch Gardens souvenirs, along with other eclectic decor and apparel items. Many of the store’s theming and display fixtures are recycled and re-purposed items. On March 25, 2014, the park released the third in a series of webisodes focused on the construction of Falcon’s Fury. This episode also looked at the progress of other projects in Pantopia, including the recently opened Twisted Tails Pretzels and Painted Camel Bazaar. On May 22, 2014, The Spice & Tea Exchange opens inside Painted Camel Bazaar, offering over 60 different spice blends, teas, salts and sugars. Along with the individual spices and teas, gift sets and accessories were also available for purchase. 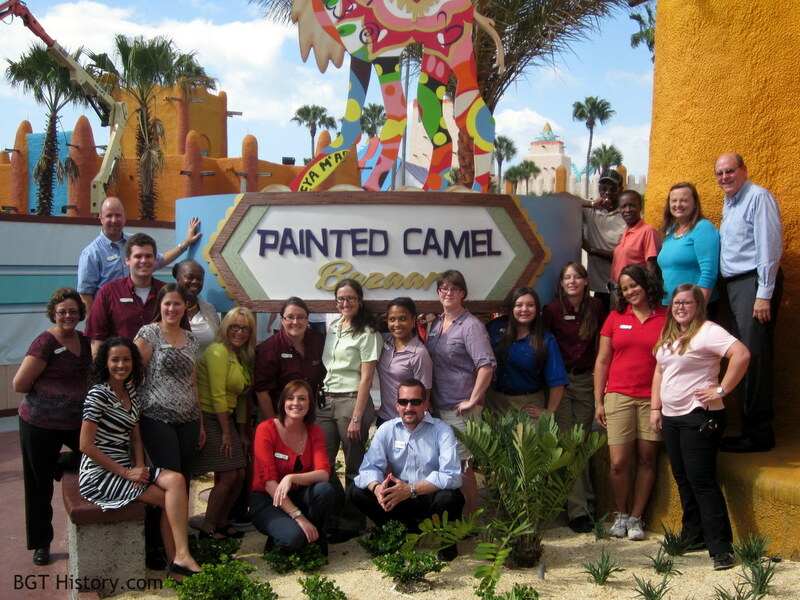 Additional details and images on the Painted Camel Bazaar will be added in the future.